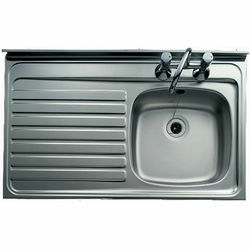 Clearwater Sinks > Lay-On Kitchen Sink With Left Hand Drainer 1000x600mm. 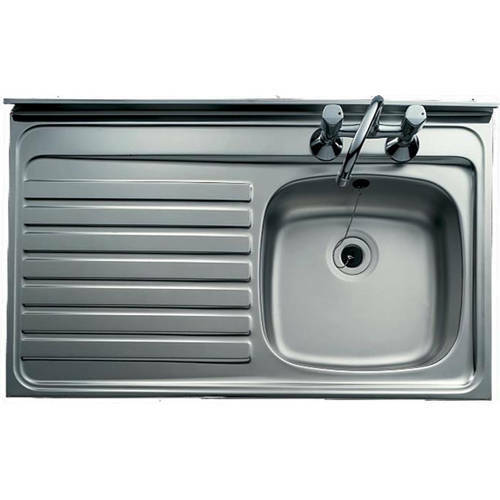 Clearwater contract Lay-On single bowl kitchen sink in stainless steel with left hand drainer (1000x600mm). Overall size: 1000W x 600D mm.